Busbar trunking for electrical distribution is an alternative to cumbersome conventional cable distribution system. 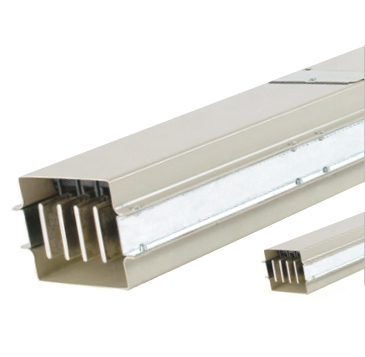 It has the advantages of expansions, changes, replacenment and reusing capability in future.Busbars in enclosure are heid tight, and cannot easily slide even in vertical run when used as rising mains.Automatic polarity is maintained during installation.System can be mounted edgewise or flat wise, horizontally or vertically in any direction with all kinds of bends, and tees etc. Two sections can be electrically Isolated for maintenance and testing in installed condition without dismantling or removal of any section. Fire barrier provision with F & T rating for 2 hours can be provided as per requirement for floor and wall crossings (as per UL 1479) .